Never underestimate the power of social media, right? How would you use an international controversy to your advantage? One little girl managed to get herself a puppy using the recent Cambridge Analytica scandal. Brendan Greeley, an economics journalist, tweeted a picture of the ingenious way his 8-year-old daughter asked for a puppy two days ago. Knowing that her father was following the Cambridge Analytica story closely, little Miss Greeley turned to page 13 of his newspaper to plead in bold handwriting for a puppy. "CAN I PLEASE GET A PUPPY?" she scrawled right above the headline which read 'Questions swirl over Cambridge Analytica'. "A real one," she emphasised right below. 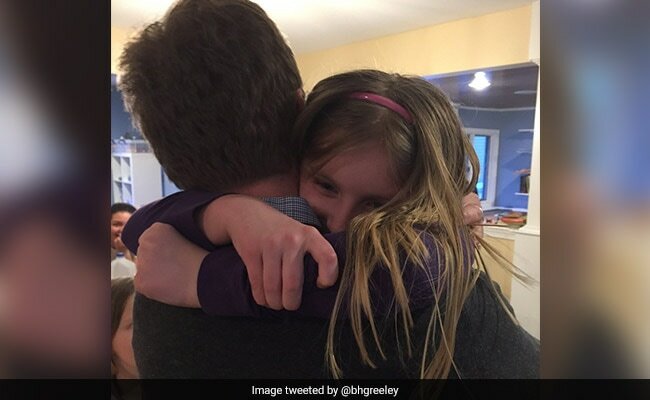 The tweet collected over 30,000 retweets and 1.5 lakh 'likes' in no time as people began to ask Mr Greeley to get his daughter a puppy. It was even retweeted by none other than Harry Potter author J K Rowling. In fact, soon the pressure on Mr Greeley got so much that he had to give in and get his daughter a puppy. Eleven hours ago, he tweeted that he would get his daughter a puppy. He also requested everyone who had asked him to get a puppy to donate to the Society for the Prevention of Cruelty to Animals or the SPCA. "Our daughter, 8, loves going to the SPCA of Anne Arundel County, Maryland... last month she donated $62 of her allowance. The Anne Arundel SPCA is her charity of choice. Please make it yours, too" read the statement accompanying the tweet. Mr Greeley also shared a heartwarming picture of his daughter's reaction when she got to know she would get the puppy she wanted.